"flight was absolutely spot on"
✅ Trip Verified | London to Bucharest. I’ve flown with Wizz Air a lot over the last few years. Purely because of the price of the flights. Overall they aren’t that great, but when you compare it to the price you pay it’s excellent. They take off late and are regularly delayed. Luckily enough this flight was absolutely spot on. Although the cabin crew are getting really aggressive with the baggage allowance, where they shout at customers for putting a backpack in the over head locker. ✅ Trip Verified | Bucharest to Luton. Very disappointing! I came from the UK to Romania and had no issues. However, on the way back, I had the worst flight experience! Bucharest staff tried to charge me for extra luggage, which I paid 20 euros for. When I got to the gate, they said that I paid the wrong amount, that I should have paid 25 euros and that now it is late and I should pay 60 euros instead. I started explaining that it was not my fault, but they did not admit that the mistake was theirs until another gentleman came over and offered to pay for my luggage. This was the last time I travelled with WizzAir! "my bag is too big "
✅ Trip Verified | Paris to Belgrade. I booked this 220 euros flight expecting to pay the bus to and from Beauvais airport (30 euros) making it a 250 euros. I won't express my disappointment towards the bus service here because it is not under the control of Wizz air. But after arriving at the beauvais airport and after having queued for 30 min for the security check, the security guard tells me that my bag is too big and needs to be checked in. For thr record I have a 20-30-50cm bag. 10cm too big according to the small characters. First company ever not letting me board with this sized bag. I had to run to the wizzair desk who told me "we have closed. Go to the information desk and explain your problem there". Which I did and had to pay 27 euros additional. I am expecting to pay the same on my way back. 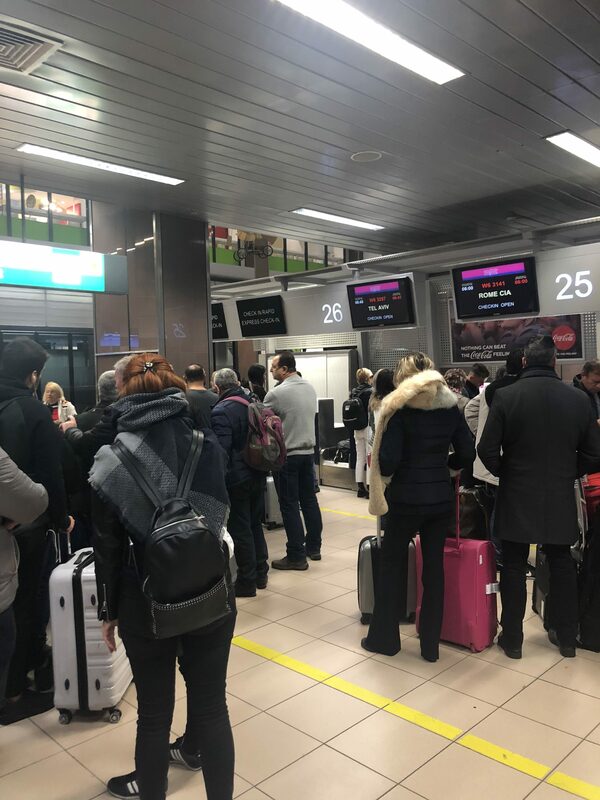 Making Wizz air ticket 304 euros meaning more expensive than a "non-low cost company". In a nutshell, I almost missed the flight and was stressed out. Very unpleasant experience. "ground staff had no knowledge"
✅ Trip Verified | Lisbon to Luton. The flight was late the ground staff had no knowledge, what to do and how to handle the passengers, people were stranded next to gate for long time before boarding, and passengers were getting mixed messages on the display screens The flight was supposed to be a direct flight but it was made indirect due to fuel strikes in Portugal and had a long stop over on the way. The pilots did not switch off seat belt sign because of the stop over 45 minutes after the take off, so no food was served and use of toilet was not possible, during the stop over, people were not allowed to use toilets. The cabin crew was not less than a joke, without proper command of English. "pay a €35 check-in fee"
Not Verified | Luton to Kiev. 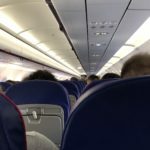 The worst company - my second flight and my second disappointment. On way to KIV I tried to do check in on line but I couldnt. I have done it in Luton Airport 1.5 hours before the flight without any problems. When I come back I had the same problem with online check in. So I decided to do it at airport. I came 2:40 hours before the flight and when I wanted to do check in Ii was finding out that must pay a penalty charge of 35 Euro. ✅ Trip Verified | Sofia to Malaga. This is the most terrible customer service in the world. It's clear that they want money but they take it in so ugly manner, that normal people are disgusted. I mean the luggage and seats policy which is working on the principle pay-more-or-suffer. The only reason why people choose to fly with Wizz Air are the low prices. But those prices are misleading, because they offer unacceptably nasty conditions if you don't pay additionally. I recommend to avoid this company. 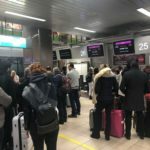 "be aware of this trick"
Not Verified | Having flown with Wizzair in the past and been happy with the experience even though the flight times were not great. I had planned to take another trip with them and went through the process of selecting flights and although not happy with their baggage rip off and the bad flight times I went to check out and discovered that although the flight prices were in GBP I had to choose a different currency to pay in and that is when the final rip off occurs. The conversion they use adds approximately 10% extra to the flight cost, I was furious, I hate hidden charges and did not proceed with booking and wanted to warn other people to be aware of this trick. 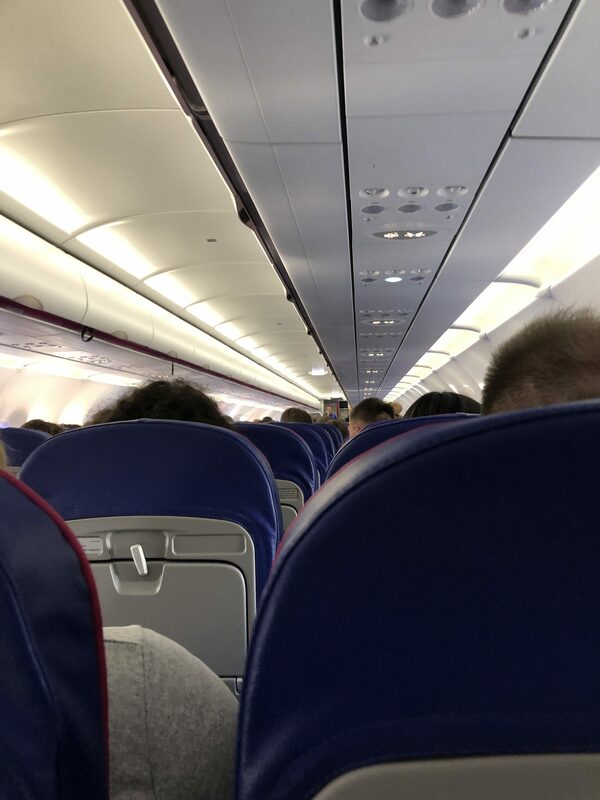 "never fly again with them"
✅ Trip Verified | Luton to Bucharest. Starting before the flight! I booked the Flexibility to change my flight for an extra 30 Pounds per person, but when I tried to change the flight the homepage did not accept the payment for 3 hours, every time a re login was necessary the price doubled until it was more expensive than the original booking. Wizz Air is trying to trick you into an increased payment with absolutely everything! You can expect that from the moment you booked your ticket for a good price till your actually flying the price doubled (by changing luggage regulations, or other tricks they use). My conclusion is I will never fly again with them! ✅ Trip Verified | Luton to Gdansk. 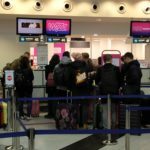 Wizz Air changed my flight and offered a compensation. It's been credited to my wizz Air account. After some time I decided to fly with them to use that money. On the payment page I selected the option to use that money, but unfortunately they charged my credit card with the whole amount. My credit has not been applied and my money stays with them. I made a complaint but they ignored it saying that the credit is not refundable and the only way to get it back is to buy another ticket. Again and again? Very unprofessional. I feel like someone just stole my money.